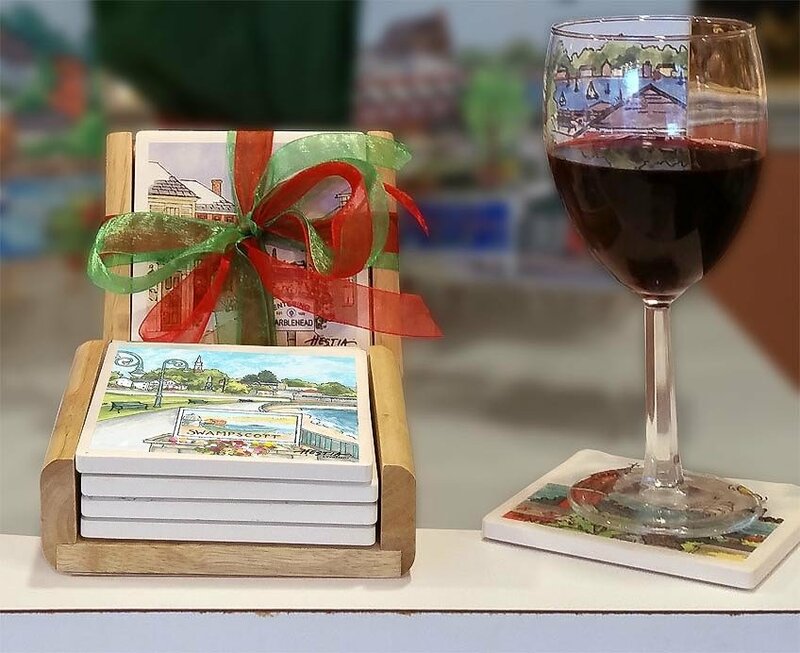 Our Swampscott coaster set features 4 tiles and a wooden caddy. 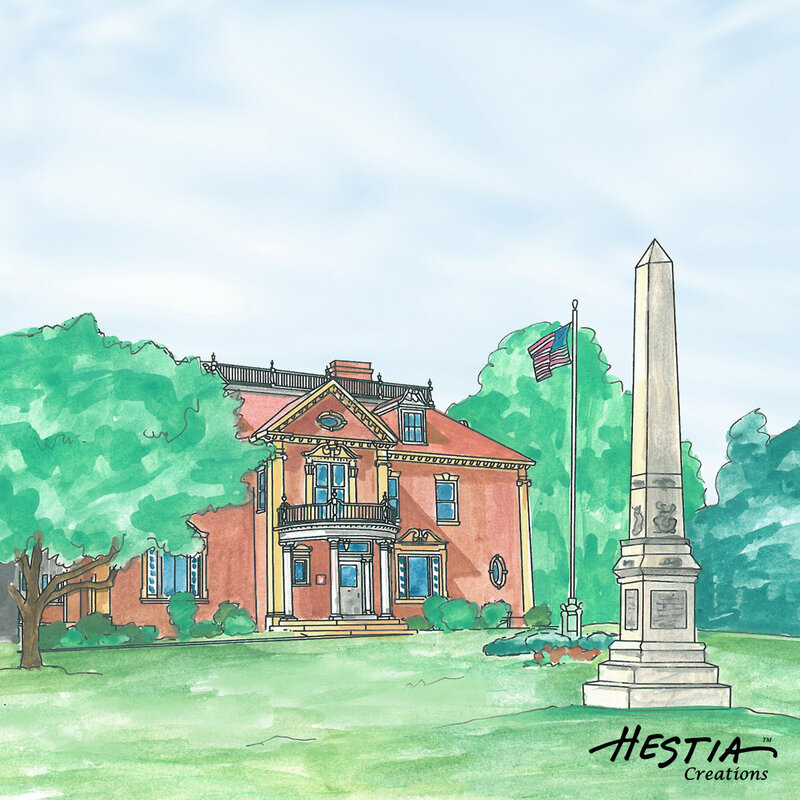 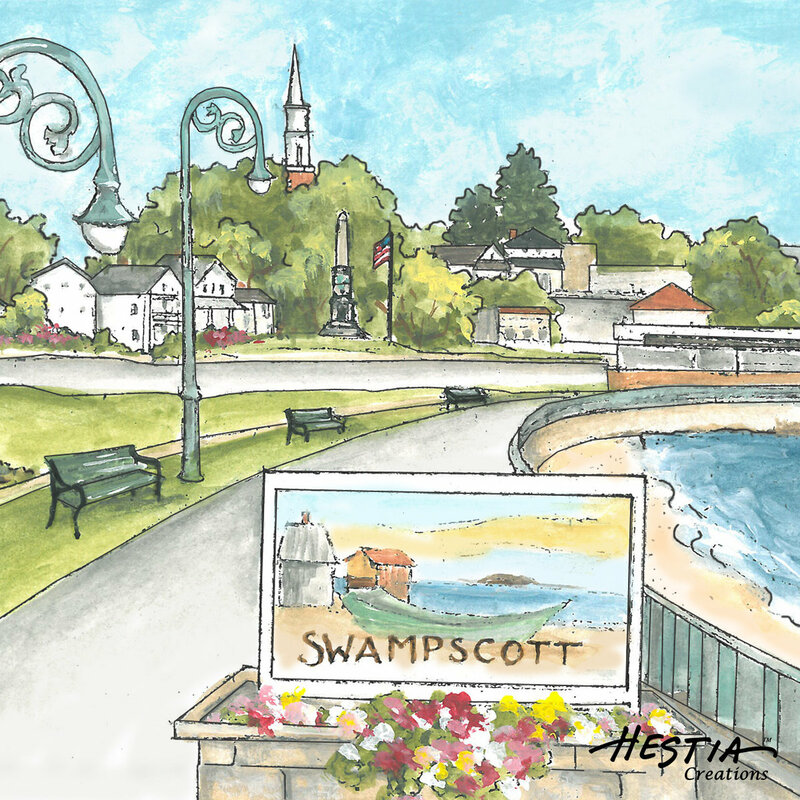 Each 4" x 4" tile features a Local Swampscott landmark. 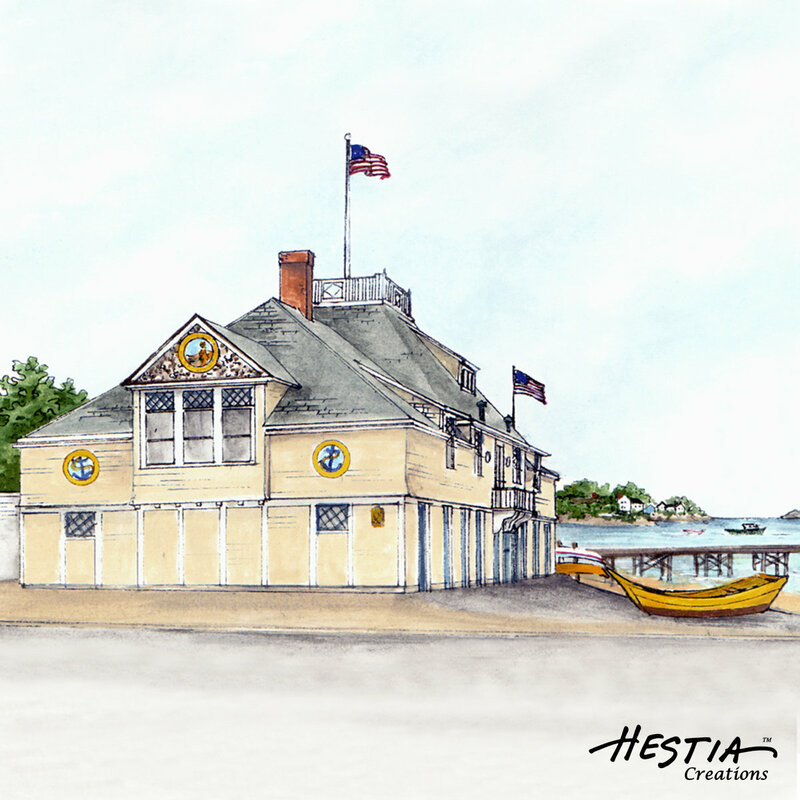 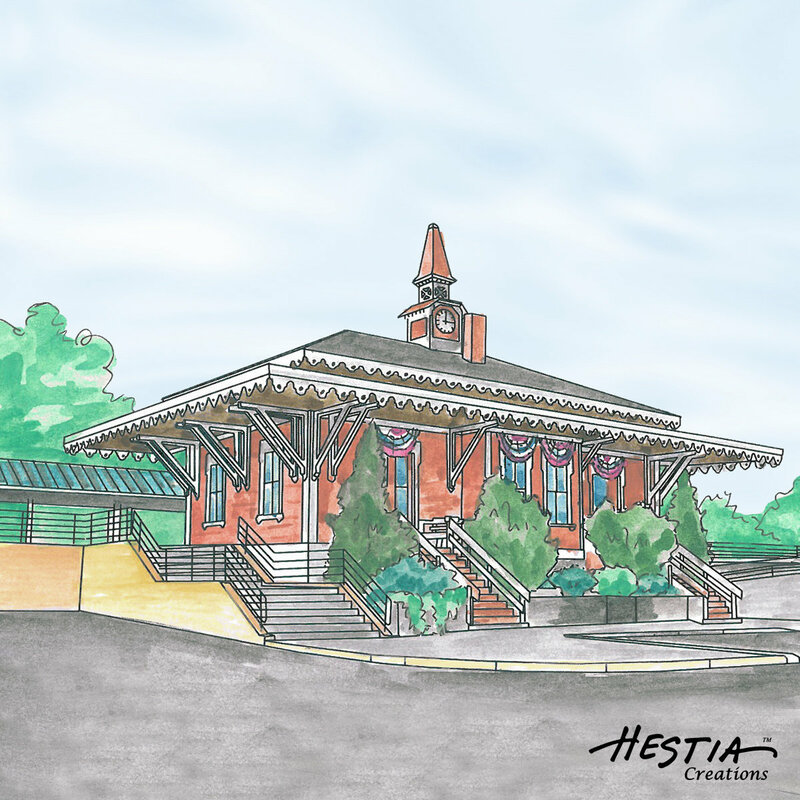 Each image is from an original watercolor painted by one of our talented studio artists.